Hello! This comedy show is going to be so good, it’s insane. A night of Chris Locke (Just For Laughs, Baroness Von Sketch, Mr. D and more!) 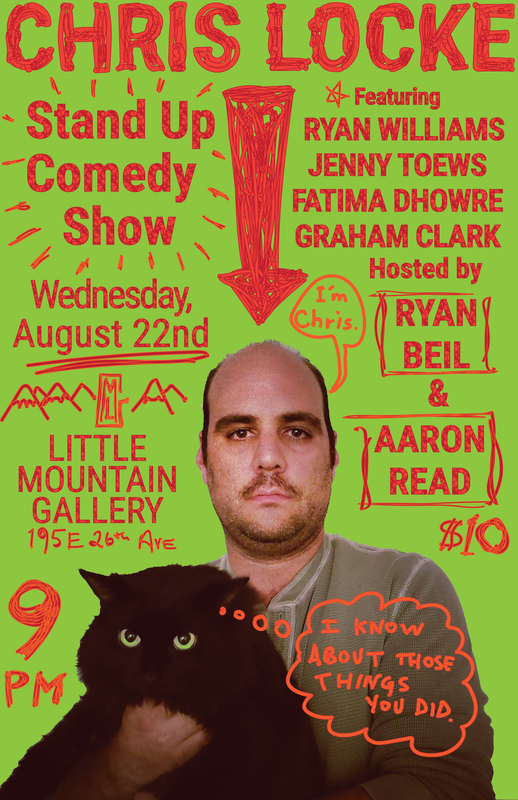 and friends live at Little Mountain Gallery!